How do you save cost and yet get the most driving mileage out of your homemade electric car? Many Do It Yourself (DIY) electric vehicle enthusiasts utilize Sealed Lead Acid Batteries (SLA) mainly because they are relatively much cheaper than lithium-ion batteries. However, the SLA’s life span is about half that of lithium batteries. Then again, current lithium batteries used on EVs cost an arm and a leg. Even with lithium-ion batteries, lithium iron phosphate batteries, known as LFP are comparatively stable than the cobalt-based lithium batteries manufactured for a few commercial vehicles. While cobalt-based lithium batteries are more efficient in operation due to ‘higher energy density’, the cycle life of this type of battery is much less than the lithium-ion batteries with phosphate or magnesium compounds as cathodes or even polymers. 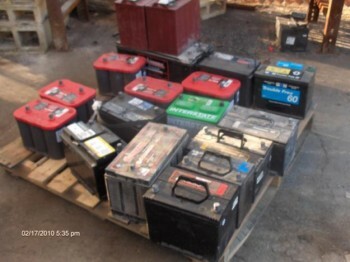 Moreover without proper maintenance or supervision, the cobalt-based battery may get overcharged resulting in a fire, a condition called ‘thermal runaway’. On the other hand, lithium batteries with phosphate compound based cathodes have better chemical properties that protect the batteries in case of overcharging. Most of the lead-based batteries used in electric vehicles do not have any provision for regulating the charge. In such situations, the batteries just get fully charged. However, a proper management during charging will be a good idea since you don’t want to damage the expensive batteries that you’ve invested. In some of the battery packs, it suffers the risk of being fully, and yet it has not attained the full-charge state. This is not a good thing because it will decrease the plate area in the battery and in turn reduces its charge capacity. A good battery management system (BMS) is essential for your DIY electric car if you are using deep cycle batteries. Do you know what is the usual percentage of charge when the battery is in idle condition? While a number of people are of the view that the idle charge for lithium batteries should be 45%, others do not agree with this percentage. The idle charge of batteries depends upon several factors, such as environment, ambient temperature, quality of battery and others. Many people feel that the charge for lithium battery lasts longer even if it is charged partially. It is a bit challenging to determine accurately at what percentage of charge for batteries when in idle condition. Nevertheless, you can reasonably conclude that 85% charge for a battery in idle condition is adequate. Thus, if you go on a holiday trip for a couple of days, set your BMS to charge the batteries at this level. When you return, your EV batteries will still have most of its juice. It is not clear why the ‘lithium substrate’ gets worn out when left idle in almost fully charged condition, especially when it is hot. This characteristic is fairly well recorded for cobalt batteries, it is not certain how much does this apply for phosphate-based lithium batteries. The batteries would last longer, if you drive short distances and recharges the batteries only partially but doing it frequently. Whenever possible, it is better to charge the batteries during the day, when you haven’t been using your EV for long distance driving which will deplete the batteries to a low level. In conclusion, as the owner of a homemade electric vehicle, your driving habits and lifestyle will determine how often you should recharge the battery pack. Charging the battery pack every day as a matter of routine is very important to ensure long life for the battery. With ever increasing prices of gasoline and other petroleum products, using an electric car is much more economical than conventional vehicles with an internal combustion engine power plant. Contrary to what many people believe, charging the battery pack all night just to retain top voltage is not at all necessary. The best way to preserve batteries is to charge them regularly, ensure that they are not overcharged and utilize a systematically battery management system (BMS).